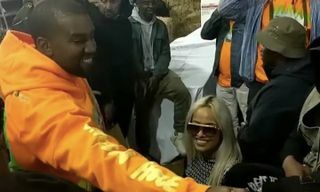 Yesterday Kanye West announced he was holding a listening party in Wyoming for his new album, reportedly called YE. A select few people were given the opportunity to attend the listening party, and are updating this post with details throughout the night. For those not in Wyoming, the event is being livestreamed on the WAV app. Guests were flown to Wyoming, and were driven from the airport to a sparse farm with mountains in the background. Before the listening party started, bulldozers brought out giant speakers, and livestream viewers were greeted with an image of a roaring bonfire. Attendees like Tremaine Emory teased Wyoming-themed merch available to attendees. 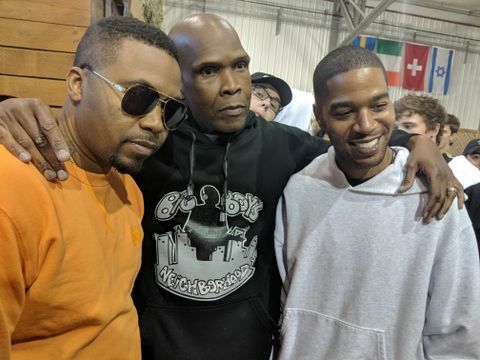 Orange and white hoodies emblazoned with a photo of Wyoming’s mountains and a neon green logo were prominent, and a black dad cap with embroidered details of the event was also seen, though it didn’t take long for it to be bootlegged by Chinatown Market. 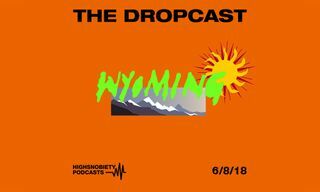 In a surprise drop, the merch team at Bravado made it all available online shortly after the Wyoming livestream. 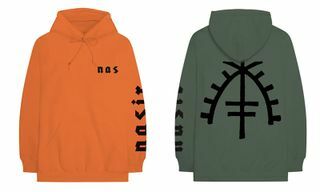 Prices range from $145 for handpainted tees, $85 for hoodies, and $65 for long sleeve tees. 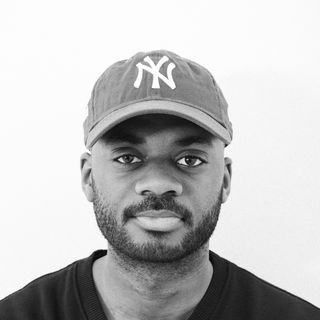 The caps aren’t part of the online drop. 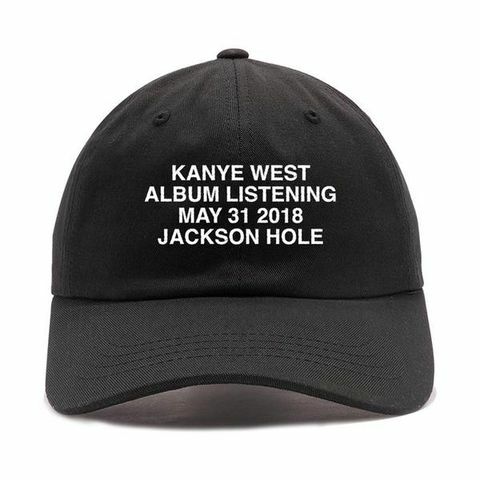 Buying the merch also gives you access to the digital album, which is set to drop later today. 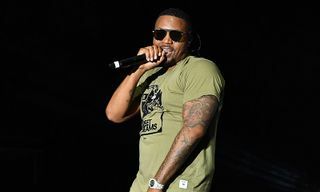 Nas, Fabolous, Desiigner, Pusha-T, Big Sean, and numerous other celebs showed up to the function. Of course, Kim Kardashian was there too—showing out in the more expensive Wyoming-themed handpainted merch. As the livestream began in proper, the focus shifted from the roaring bonfire to the rapidly developing party. 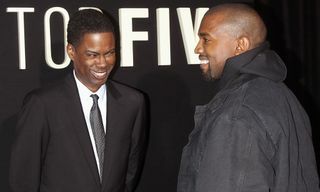 Chris Rock introduced the album, titled Ye, and talked about his experiences with the local wildlife. And then West took the spotlight as he let the world hear his latest work. 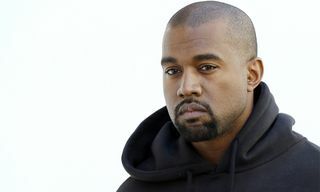 The music touches on numerous themes familiar to Kanye West fans, and while it’s way too early to tell if it’s shaping up to be another classic, even after a cursory first listen there are plenty of quotable lyrics and banger beats. Though currently it’s only available through the livestream on the WAV app and not on any streaming services, people who cop the merch are guaranteed digital copies when the album becomes available. Stay tuned for continuous updates as this story develops from Wyoming.